GA, and Editor in Chief of CA. 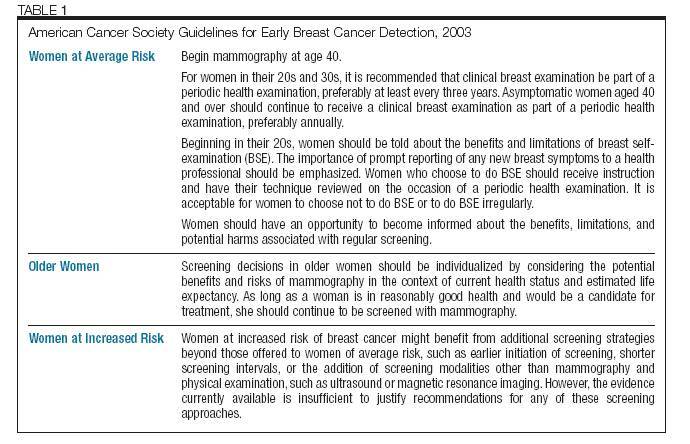 © American Cancer Society, 2003.
associated with screening are addressed in this guideline update. she also has received unrestricted research support from the company in the past. would benefit from breast cancer screening. women; and (5) screening with new technologies. deliberated over the guideline modifications.